To create appealing and appropriate designs, it’s important to have a selection of fonts to choose from, especially if you are working with multiple languages. However, accessing a useful library of fonts can be complicated or really expensive. A few years ago, Adobe launched Typekit to give designers access to a good font library. It is easy to use and a relative bargain compared with other traditional options. Typekit is a subscription service for fonts you can synchronize to your computer or use on a website. Instead of licensing individual fonts, you can sign up and select the best plan for your projects and obtain access to a great library of fonts. 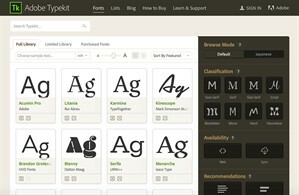 If you’re a Creative Cloud subscriber, you can access Typekit by signing into Typekit.com. Typekit allows you to sync fonts to many applications, such as Photoshop, Illustrator, InDesign, Microsoft Office, and many more. You can use synced fonts to print designs, website mockups, word processing documents, etc. I think the most interesting feature is the filter option, which gives many great options to customize your font search. 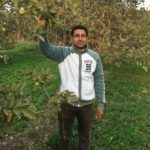 As a translation industry professional, I frequently use many of the language filters to find the fonts that support the languages I need for my projects. For example, there is a special filter for Japanese fonts. This is particularly helpful when you have to change or replace a font that doesn’t support a specific language for a translation project. Adobe Typekit is great option to search, select and use fonts. Payment plans give you access to the fonts for as long as your account is active. If you choose to cancel your plan, the fonts will no longer be synced or available to your website and any site using web fonts from Typekit will display the fallback fonts specified in your font stack or your browser’s defaults. But if you would like to test it out, Adobe offers a free trial plan that limits the number of fonts to two font families and 25,000 monthly page views.